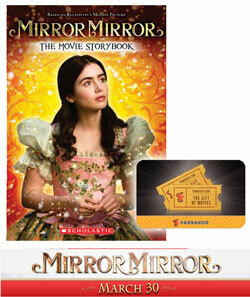 Oh yes, I will be watching Mirror Mirror. Yes, I do plan on watching this!! We are looking forward to seeing this rendition of the classic tale. Has anyone seen "Snow White: The Fairest Of them All" starring Kristen Kreuk? Yes, I plan to see this movie. 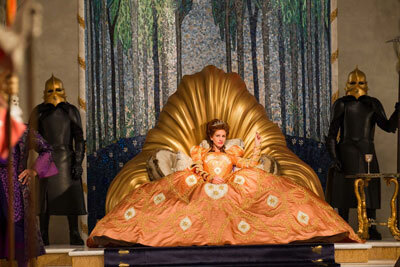 I like the Cinderella movie version "Ever After", starring Drew Barrymore. I plan to watch this movie with my sister. i hope to see this! i think it sounds likt a fun film. I'm hoping to get to see this. My fave book to film variation is Hunger Games. Thanks. Yes, I do plan to see this movie. My favorite movie of a classic fairy tale is Thumbelina by Hans Christian Anderson. Thanks for the chance to win! I very much want to see this movie! Yes, I plan on taking my daughter with me to see it! Yes, I do plan to watch this movie. My favorite version of a book is the old televised version (now impossible to find, but I have it on VHS) of Peter Pan, starring Mary Martin as Peter Pan. I love how the same actor plays Mr. Darling AND Captain Hook, and the music is FANTASTIC! It follows the original story much better than the Disney version (although I like it, too!). I just discovered your site -- thank you! My email address is bobbiberta @ charter.net (no spaces). I plan to watch Mirror Mirror. My favorite film variation of classic fairy tale is Ever After. Yes I plan to watch it with my daughter! I love Ever After and Ella Enchanted is fun. Yes, planning to see this movie! We went and saw it yesterday. It was really good. I would like to catch this and the darker new version Snow White and the Huntsman. The best adaptation is always the one you remember in your mind. Yes, we can't wait to watch it! We also loved Tangled and Ever After. i hope to see it, at least on dvd. thank you! And I love Disney's take on Alice in Wonderland. I will watch this film; my favorite is the animated Snow White and the Seven Dwarfs. I loved Tangled - the film variation of Rapunzel! 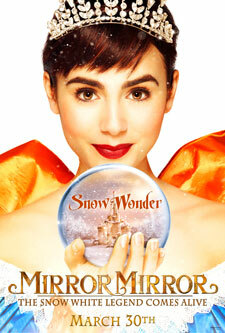 I will definitely see Mirror MIrror, hopefully with my son. Yes, we certainly will watch this movie - it looks super! I will definitely be going to see the film! It's a great, classic story and I'm interested in this twist! Yes, I will see the film. My favorite film version of a fairy tale is The Princess Bride.